Today we woke up late, packed our bags, and boarded the bus for the Notre Dame Center. Everyone was in a good mood. This was our last day in the Holy Land, and we were ready for it. 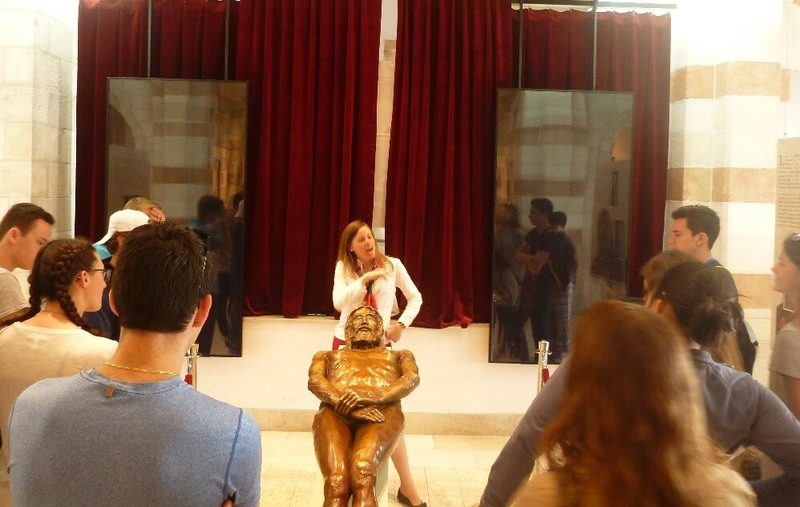 Upon arrival, Mary – one of the consecrated women – guided us through the exhibit of the Shroud of Turin and explained all of the scientific and historical evidence that supports the resurrection. After a week in the Holy Land, our faith has been deepened and strengthened, but it was also comforting to know that our beliefs rested on a solid foundation. After another wonderful meal, we returned to the Old City for the Stations of the Cross. 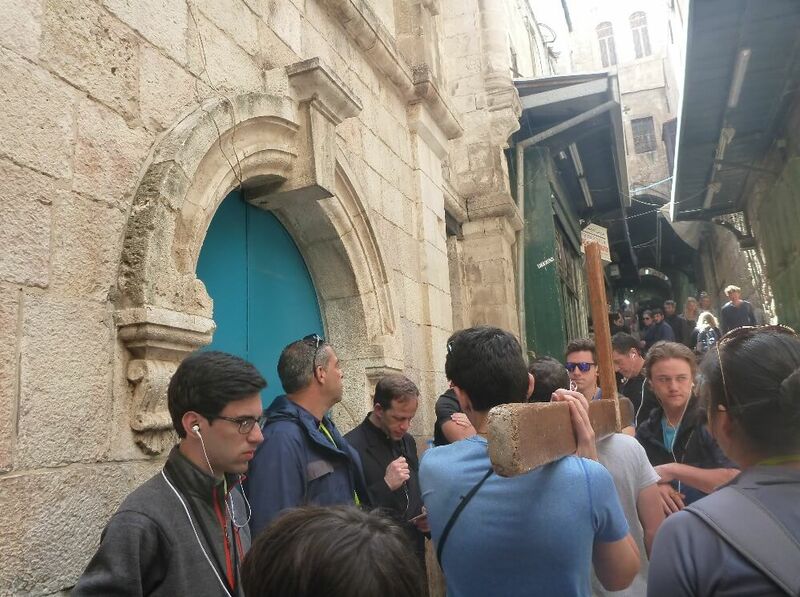 The students and chaperones took turns carrying a large wooden cross along the path that Jesus had walked. Back home, many of us had participated in Stations of the Cross before, but this walk was not inside a quiet church. This was a journey through the noisy, hectic streets of the Muslim and Jewish neighborhoods. Many of us felt uncomfortable at times, but our guide reminded us that any inconvenience we experienced pales in comparison to what Jesus had to endure. 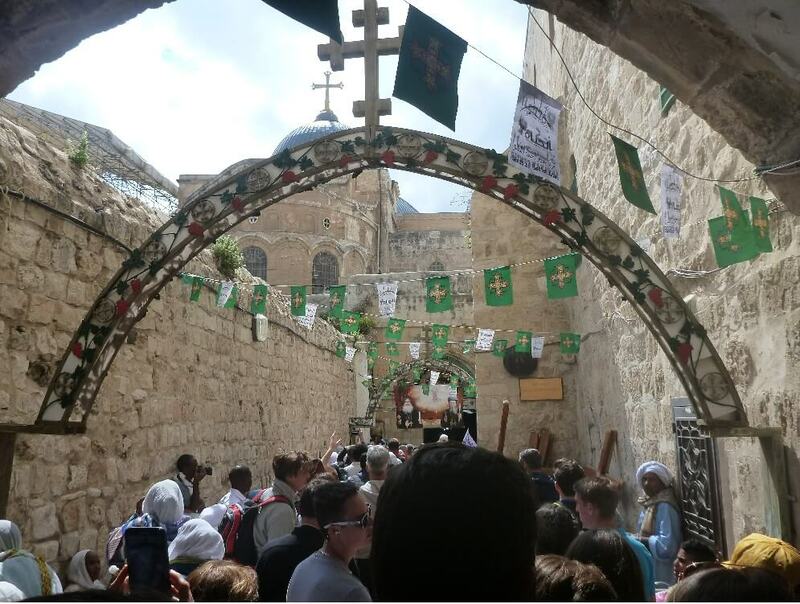 The Stations culminated outside the Church of the Holy Sepulchre. This was our third time visiting this most holy of holy sites. Due to the massive crowd, we were only able to stand outside. 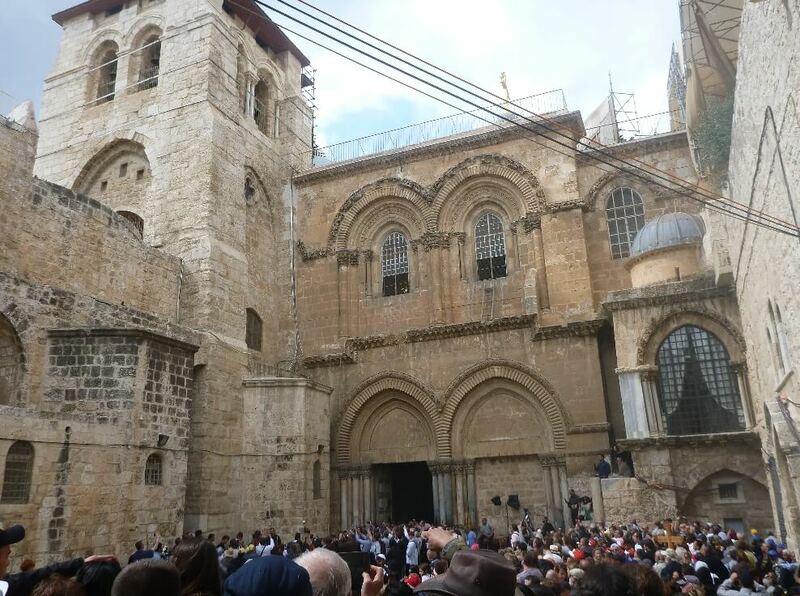 However, we could still feel the connection to Jesus when the bells tolled at 3:00 pm and all eyes turned to Calvary. It was yet another powerful reminder of the sacrificial love that we are all so blessed to receive. After the stations concluded, we departed for Jaffa. On the way we stopped and prayed in Emmaus – where two disciples had encountered the risen Christ. 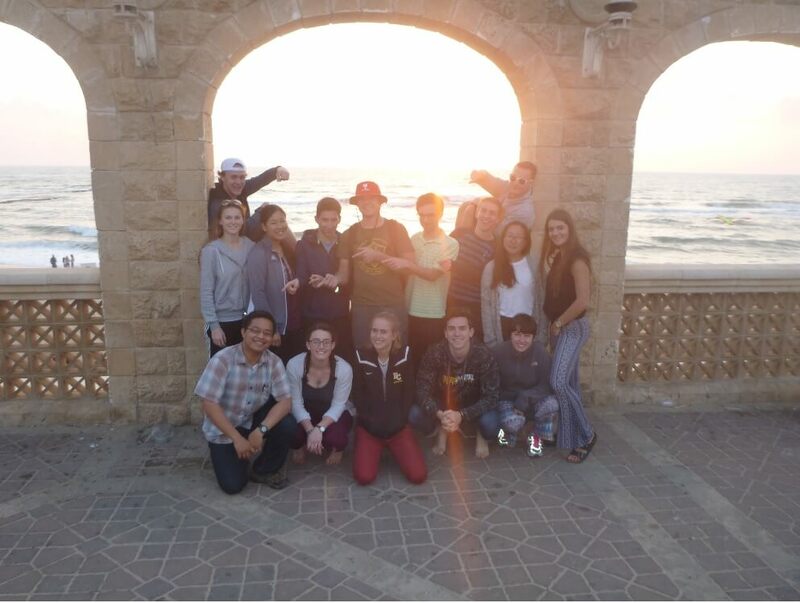 Jaffa is a coastal city and we enjoyed walking along the beach, taking pictures, and being in each other’s company. 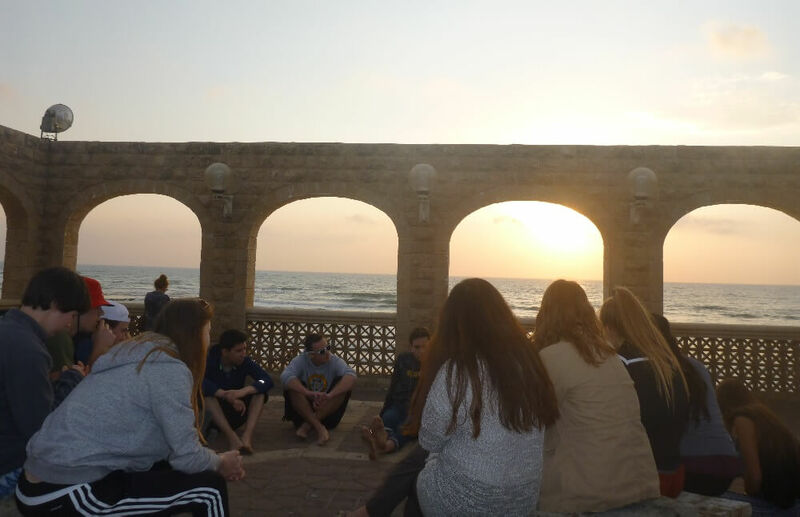 As the sun set on our pilgrimage, we gathered as a whole group one final time to share our reflections on the entire trip. I’ll let the students directly express their thoughts to you when they arrive home, but we all shared the sentiment that this pilgrimage was life-changing. We not only had fun and bonded with each other, but the Gospel also came alive for us. Whenever we attend Mass, read the Bible, or pray, we will undoubtedly be transported back to these sacred places, these incredible sites, and the overwhelming divine love that we experienced.